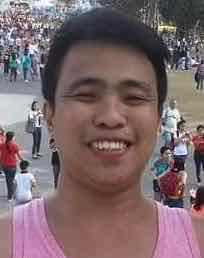 Raphael Go Acebo, 30, of Quezon City, Philippines, died July 3, 2016 as a result of massive cardiac arrest while asleep. He was born September 21, 1985 in Manila. He graduated from Saint Benilde – De La Salle College, with a course in multi-media. Raphael was a deaf-mute but was able to live a normal life with his family and relatives as well as with his deaf-mute friends and classmates. He was once a parish sacristan in Immaculate Concepcion Church, Novaliches. Raphael loved photography and basketball. He was also a good cook. Raphael is survived by his parents Rodolfo and Evelyn; his brothers Ronaliel, Rodolfo, Jr., Jose Ruiz and his sister Mary Grace. He is also survived by his close relatives and several friends in all the Metro Manila areas.